General Maxwell Taylor served at the nerve centers of US military policy and Cold War strategy and experienced firsthand the wars in Korea and Vietnam, as well as crises in Berlin and Cuba. Along the way he became an adversary of President Dwight D. Eisenhower's nuclear deterrence strategy and a champion of President John F. Kennedy's shift toward Flexible Response. Taylor also remained a public critic of defense policy and civil-military relations into the 1980s and was one of the most influential American soldiers, strategists, and diplomats. However, many historians describe him as a politicized, dishonest manipulator whose actions deeply affected the national security establishment and had lasting effects on civil-military relations in the United States. 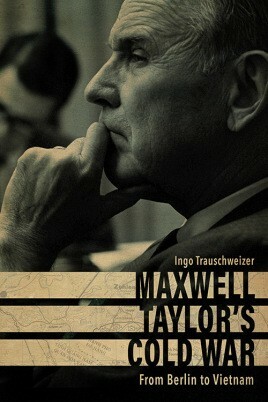 In Maxwell Taylor's Cold War: From Berlin to Vietnam, author Ingo Trauschweizer traces the career of General Taylor, a Kennedy White House insider and architect of American strategy in Vietnam. Working with newly accessible and rarely used primary sources, including the Taylor Papers and government records from the Cold War crisis, Trauschweizer describes and analyzes this polarizing figure in American history. The major themes of Taylor's career, how to prepare the armed forces for global threats and localized conflicts and how to devise sound strategy and policy for a full spectrum of threats, remain timely and the concerns he raised about the nature of the national security apparatus have not been resolved.